Are the rumors true? 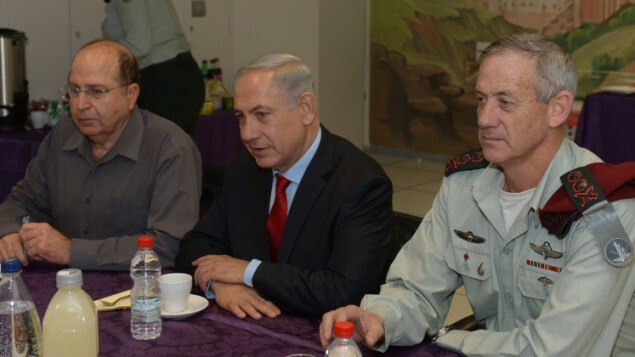 Is Netanyahu about to make “painful concessions” in the peace process? Here’s what we know. Netanyahu is seriously contemplating agreeing to deeply painful and enormously controversial concessions, possibly even dividing Jerusalem and rolling Israel back to her pre-1967 borders. Many analysts have felt for the past year that Secretary Kerry’s frenetic efforts to jump-start the Israeli-Palestinian peace process were going nowhere and doomed to failure. Now there is rapidly growing evidence that Kerry has driven the two parties into the corner, and that he appears to be putting the most pressure on the Israeli side to make the deepest concessions. At the time, it wasn’t clear anyone was listening to that paragraph, or believed him — after all, the bulk of that speech was about the Iran nuclear threat. But Israelis are listening now, and some are growing angry, even those within his own government. Two weeks ago, for example, Israeli Defense Minister Moshe Yaalon lashed out at the American plan, describing it as worthless, naïve, “messianic,” and dangerous. “The American security plan presented to us is not worth the paper it’s written on,” Ya’alon said. “It contains no peace and no security. Only our continued presence in Judea and Samaria and the River Jordan will endure that Ben-Gurion Airport and Netanya don’t become targets for rockets from every direction. American Secretary of State John Kerry, who turned up here determined and acting out of misplaced obsession and messianic fervor, cannot teach me anything about the conflict with the Palestinians….Abu Mazen (Palestinian President Mahmoud Abbas) is alive and well thanks to us. The moment we leave Judea and Samaria (the West Bank) he is finished. In reality, there have been no negotiations between us and the Palestinians for all these months – but rather between us and the Americans. The only thing that can ‘save us’ is for John Kerry to win a Nobel Prize and leave us in peace.” The Obama administration was furious, and Yaalon apologized, sort of, under pressure from Netanyahu. This week, Israeli Economic Minister Naftali Bennett lashed out at the American plan and harshly warned Netanyahu not to give away Judea & Samaria and put Jewish settlers under Palestinian sovereignty. “Our forefathers and our descendants will not forgive an Israeli leader who gives up our country and divides our capital,” Bennett warned, adding that the government’s growing fear of boycotts “is what will bring on the boycott. This is no way to handle negotiations, running frightened between the capitals of the world.” Bennett later added that the Prime Minister’s approach “reflects the loss of a moral compass. We didn’t experience 2,000 years of yearning for the Land of Israel so that we could live under the government of Abu Mazen (Palestinian Authority President Mahmoud Abbas). Anyone thinking of placing the lives of Jews in the Land of Israel under Palestinian rule is pulling the rug out from under our presence in Tel Aviv….I call on the prime minister to immediately reject this terrible idea.” Netanyahu’s team threatened to fire Bennett from the ruling coalition unless he took back his personal attack. Eventually, Bennett apologized, sort of. Such tensions would not be flaring this intensely if Kerry wasn’t about to lower the boom on Israel, and center-right political leaders in Israel weren’t so worried Netanyahu was about to agree to far-reaching concessions. with unprecedented security arrangements in the strategic Jordan Valley. but Israel will compensate the Palestinians for them with Israeli territory. and for Palestinians to recognize Israel as the nation state of the Jewish people. It will not include any right of return for Palestinian refugees into Israel proper. Is there evidence that Netanyahu and Abbas are trying to prepare their people for painful concessions? Here’s an interesting analysis of the “framework agreement” — and Sec. Kerry’s effort to hammer out “interim” deals on both the Iran issue and the Israeli-Palestinian conflict — by David Ignatius of the Washington Post. [The] issues may still prove insoluble: Listening to Israeli Finance Minister Naftali Bennett at a conference here Tuesday, it was clear how vehemently the right-wing settlers’ movement he represents would oppose a Palestinian state. “Our forefathers and ancestors and our descendants will never forgive an Israeli leader who gives away our land and divides our capital,” Bennett said, his voice almost a shout. Yet the prospect of a framework agreement, of the sort Kerry is seeking, seemed tantalizingly close in comments by Israeli Prime Minister Benjamin Netanyahu and Palestinian President Mahmoud Abbas to the gathering, which was sponsored by the Institute for National Security Studies. Netanyahu told the conference that the U.S. was compiling a document that would summarize the points that have emerged during the months of secret Israeli-Palestinian negotiations. He said that Israel might agree to further talks under this framework, while not accepting all the U.S. ideas, as long as the Palestinians agree to a demilitarized state that guarantees Israel’s security and accepts Israel’s status as a homeland for the Jewish people. Abbas said in televised remarks to the conference that he might be willing to accept a phased, three-year Israeli withdrawal from the West Bank and continued presence by other military forces, as ways of satisfying Netanyahu’s security concerns. Amos Yadlin, a retired chief of Israeli military intelligence who heads the institute that hosted the conference, described Kerry’s goal: “It’s a framework agreement, or an agreement on a framework, or an American piece of paper,” he said, but the aim was to roll forward the negotiations for another nine months. The White House has backed Kerry’s attempt to pull together the parameters that have emerged in the negotiations, rather than simply striving for another round of confidence-building measures, such as Israeli releases of Palestinian prisoners and Abbas’ restraint from taking his case for a Palestinian state to the United Nations. As in the Iran negotiations, a framework agreement would patch over what are still wide differences on a permanent, final-status agreement. But they would reduce the risk of outright conflict while diplomacy continues. U.S. Secretary of State John Kerry is obviously getting somewhere in his attempt to achieve a framework agreement between Israel and the Palestinian Authority, because all the right people — the far-right people — are going a little nuts. At a security conference this week in Israel, Naftali Bennett, the leader of the Jewish Home party — reacting to an earlier suggestion made by the leader of his governing coalition, Prime Minister Benjamin Netanyahu, that Jewish settlers could conceivably find themselves living under Palestinian rule one day — asked, “Why should Jews live in Tel Aviv with Israeli sovereignty and in Eli and Hebron under Palestinian sovereignty? Open up the Book of Genesis and form an opinion. I demand that this idea be removed from the agenda.”…. Netanyahu, unlike a set of government ministers to his right, including Bennett, understands that Israel’s addiction to West Bank settlements is undermining the legitimacy of his country, and endangering its role as a democratic haven for Jews. This is why he appears to be taking small rhetorical steps in Kerry’s direction — floating the idea that Jews on the West Bank could remain where they are under Palestinian rule (a proposal the Palestinians, so far, at least, reject) is one way he’s signaling to the Israeli public that unpopular decisions might be coming. Palestinian leader Mahmoud Abbas also seems to be bending under Kerry’s pressure, offering just this week a concession of his own: Israelis forces, he said, could remain in parts of the West Bank for as long as three years after an agreement is struck. Previously, Abbas had argued that all Israeli forces must depart as soon as a deal is made. For Israelis, there are two ways to look at Kerry’s Herculean (and often Sisyphean) efforts to outline an agreement between extremely hesitant parties. The first way is Bennett’s: Much of the Israeli right sees Kerry as the enemy, trying to break the will of their prime minister in order to uproot settlers and create a Palestinian state that will become a source of endless violence. The second way is the one favored by Israelis of the center and the left: suspicion of grandiose American schemes but also a sober realization that someone needs to figure out a way to disentangle Israel from the lives of its Palestinian neighbors, and that that person may well be Kerry. The particular difficulty for Netanyahu is that he might have both of these understandings fighting it out in his head. The White House is trying to impose a Mideast peace deal. Here’s what you need to know. 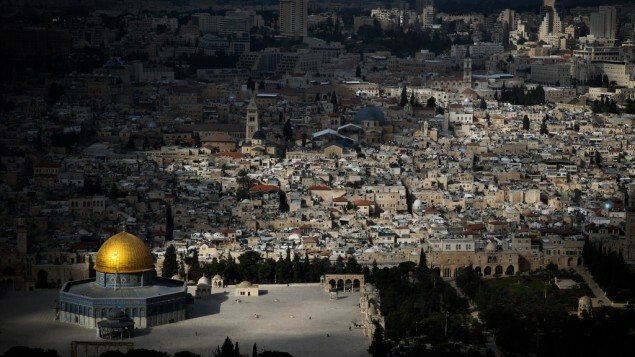 Is the Obama administration trying to divide Jerusalem? (Washington, D.C.) — A fascinating but dicey and possibly dangerous moment is rapidly approaching in the epicenter. The Obama administration is about to tell the Israelis and Palestinians how to solve their problems. The White House is about to pressure both sides to agree “in principle” to an interim agreement, and then work on a final peace treaty. How the two sides will react is anyone’s bet. Could the dynamic actually lead to a peaceful resolution of an ancient conflict? Seems unlikely. Could it lead to a calm and quiet at least for a while? Sure, theoretically. But to be candid, it could also lead to political chaos, or even to renewed violence. Let me explain as concisely as I can. Within days, or at most a few weeks, Secretary of State John Kerry will present both sides with what he calls a “framework agreement.” Essentially, this is an American-crafted peace plan. Yes, it will be based on month after month of discussions with both sides, and with the Jordanians. But make no mistake: it’s the plan President Obama wants to impose on the two parties. It is supposed to create the context for the final peace treaty, which the White House wants negotiated, completed, and signed by the end of 2014. There will be much in the “framework agreement” both sides don’t like. For example, the plan reportedly calls for dividing Jerusalem and turning into East Jerusalem into the Palestinian capital, something the Netanyahu team adamantly rejects. The plan also keeps Israeli troops helping patrol and secure the Jordan Valley for a period of years, something the Abbas team adamantly rejects. Nevertheless, the two sides are supposed to say “yes” to this interim deal, and then use it to craft a final and supposedly “better” deal. But this where the problems lie. There are many. Let’s consider just two. First, the Obama team could inadvertently make the situation worse. It could accidentally set into motion events that lead to renewed Palestinian terrorism (i.e., a “Third Intifada”) which would force the Israeli Defense Forces into a combat mode. Casualties could escalate, and things could get out of control. It’s happened before. In 2000, then-President Bill Clinton tried to pressure the Israelis and Palestinians to make a final deal at Camp David. Then-Israeli PM Ehud Barak finally agreed to make sweeping concessions to PLO Chairman Yasser Arafat. Barak offered the Palestinians all of Gaza, 93% of the West Bank, and half of Jerusalem for their capital, in return for a final peace treaty and the end to all claims. But wanting much more, Arafat said no. He quit the talks, left Camp David and then supported the Second Intifada, which unleashed a wave of suicide bombers who kept killing Israeli civilians, and caused the IDF to invade cities and towns in the West Bank to find and crush these terror cells. Let’s pray this doesn’t happen. We all want peace. We certain don’t want violence to break out again, especially on such a wide scale. Second, trying to force both sides to accept an American peace plan could blow up either or both governments. 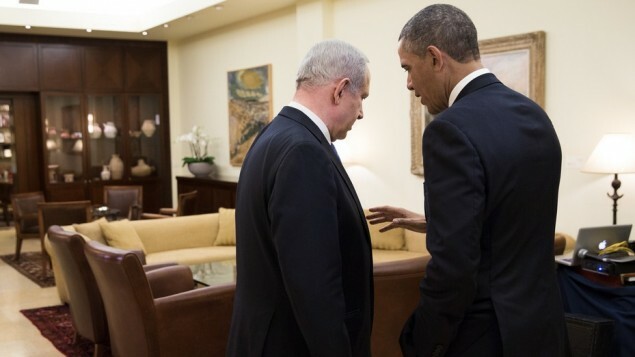 But if Netanyahu’s government says “no” to the Obama plan, there could also be repercussions. Israel’s Intelligence Minister Yuval Steinitz says Lapid’s concerns are overblown, and Israel could weather the storm. Given that no one knows which side of that debate is right, there is a great deal of pressure on the Netanyahu team not to inadvertently create an economic nightmare for the Israeli people. Yet there is also great pressure on Netanyahu not to make concessions that threaten the long-term security of the Jewish state. What if Hamas Islamists seize control of the West Bank government from the more secular Fatah faction, like it did in Gaza? Then what? If the IDF stops operating in the West Bank — arresting terrorists and shutting down rocket factories — then the security situation in the West Bank could devolve into the nightmare that we see in Gaza, with rockets being fired at Israeli towns and cities, and even at Israel’s airport. Then what? If the IDF stops overseeing security in the West Bank, what if al Qaeda and Hamas and other jihadist groups (such as the 30,000 jihadists that are operating in Syria right now) turn the territory into yet another base camp for suicide bombers and other forms of terrorism? What if Christian holy sites in Jerusalem are turned over the Palestinian Authority, but Hamas eventually comes to power? Will Christian tourists feel safe visiting those sites under Hamas supervision? Would the Hamas government even allow Christian tourists to visit? The “framework agreement” reportedly would put 75% to 80% of Israeli Jewish settlements in the West Bank under Palestinian control. Would the Jews living in the rest of the settlements be safe in such a scenario? That said, you and I have not actually seen the Obama/Kerry plan yet. There is no need to rush to judgment. We’ll see all the details soon enough. I just want you to be aware of the dynamic, and the tensions that are building. Like many of you, I am praying for peace. I want Israelis and Palestinians to live in freedom, security, prosperity and with full religious freedom. I don’t want to be a cynic. But I must be honest — I am skeptical. The interim agreement this administration just struck with Iran — on the way to a full, comprehensive agreement — is a terrible deal. Dangerous for the U.S. Dangerous for Israel. Dangerous for all our allies in the Middle East. Will this interim deal be similarly flawed, or even dangerous? Time will tell. But there are real reasons to be concerned. Let that drive us to prayer all the more. “The Obama administration will soon present a framework for an Israeli-Palestinian agreement that the sides may accept with reservations as a basis for a final deal by year’s end, the top US negotiator told Jewish leaders. Martin Indyk, the State Department’s lead envoy to the Israeli-Palestinian negotiations, told the Jewish leaders on Thursday that under the framework agreement about 75-80 percent of settlers would remain in what would become Israeli sovereign territory through land swaps; he added that it was his impression that Palestinian Authority President Mahmoud Abbas was not averse to allowing settlers who want to remain as citizens of the Palestinian state. Indyk said the framework would be presented to the sides within weeks, and that there will be “no surprises” for the Israeli and Palestinian leaders, according to four people who were on the off the record call. This was because Indyk and Secretary of State John Kerry consulted closely with the leaders of both governments as Indyk’s team drafted the agreement. Prime Minister Benjamin Netanyahu and Abbas would be expected to accept the agreement, with reservations, as the basis of continued negotiations, Indyk apparently said. Making it a US-drafted framework permitted the leaders to distance themselves from politically sensitive issues, Indyk said. “There may be things we need to say because they can’t say them yet,” he said, according to the notes of one participant. Broadly, Indyk said, the agreement will address: mutual recognition; security, land swaps and borders; Jerusalem; refugees; and the end of conflict and all claims. A request for comment from the State Department was not returned. Syria has given up only 5% of chemical weapons, sources say. Could it wind up in al-Qaeda’s hands? In 2013, a U.S. and Allied military attack on Syria was averted at the last moment by a Russian-negotiated deal. 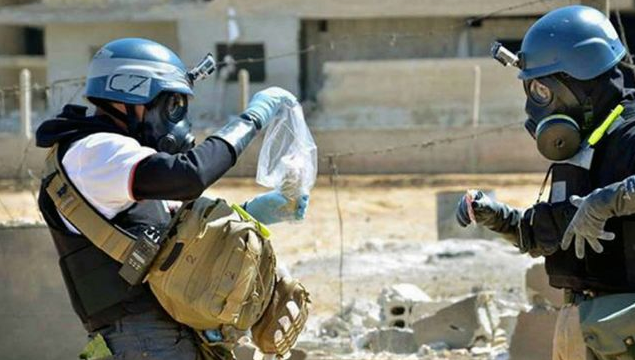 The Assad regime promised to disclose all of its WMD sites and have U.N. weapons inspectors remove 100% of Syria’s chemical weapons on a specific timetable. But months after the deal was struck, Reuters reports that Syria has only given up 5% of its stockpile, and will miss yet another critical deadline. Meanwhile, the danger remains that al Qaeda or other Radical jihadist forces could seize some of the chemical weapons. Let’s pray that doesn’t happen, and leave that for a future political thriller. But here are the latest details. “Syria has given up less than 5 percent of its chemical weapons arsenal and will miss next week’s deadline to send all toxic agents abroad for destruction, sources familiar with the matter said on Wednesday. The deliveries, in two shipments this month to the northern Syrian port of Latakia, totalled 4.1 percent of the roughly 1,300 tonnes of toxic agents reported by Damascus to the Organisation for the Prohibition of Chemical Weapons (OPCW), said the sources, who spoke on condition of anonymity. The internationally backed operation, overseen by a joint OPCW-United Nations mission, is now 6-8 weeks behind schedule. Damascus needs to show it is still serious about relinquishing its chemical weapons, the sources told Reuters…. Failure to eliminate its chemical weapons could expose Syria to sanctions, although these would have to be supported in the UN Security Council by Russia and China, which have so far refused to back such measures against Syrian President Bashar Assad. The deal under which Syria undertook to eliminate its chemical arsenal stopped the United States and its allies from launching bombing raids to punish Assad for a chemical attack last August and made clear the limits to international action against him. UN Secretary-General Ban Ki-moon suggested in a report to the Security Council this week that shipments had been unnecessarily delayed and urged the Syrian government to speed up the process…. Under a deal agreed by Russia and the United States after the August 21 sarin gas attack, Syria vowed to give up its entire stockpile by mid-2014. The rocket attacks in the outskirts of Damascus killed hundreds, including women and children. Eradicating Syria’s chemical weapons stockpile, including sarin, mustard gas and VX, requires massive foreign funding and logistical support. The bulk of the most toxic substances are to be destroyed on the Cape Ray, a U.S. cargo ship now en route to the Mediterranean that will be loaded with the chemicals at an Italian port. The remainder will go to several commercial waste processing facilities, including in Britain and Germany. GAME-CHANGER: U.S. intelligence assessment says Iran can now build and deliver nukes. Now what? (Washington, D.C.) — In a game-changing development, the U.S. Director of National Intelligence delivered Senate testimony on Wednesday stating that the Iranian regime has all the scientific and technical information, industrial infrastructure and practical know-how to build nuclear weapons. The Director said Iran also has ballistic missiles capable of delivering nuclear warheads against regional actors, including Israel, and is developing long-range missiles capable of hitting the United States. The long-expected and long-feared news does not mean Iran has operational nuclear weapons yet — at least U.S. intelligence doesn’t think they have them yet — but Washington now believes that once the Ayatollah makes the political decision to build them his scientists and engineers will be fully able to carry out his orders. The sobering news comes one day after Israeli Prime Minister Benjamin Netanyahu warned the P5+1 deal with Iran merely set back the Iranian nuclear weapons program by six weeks. The big question is: Now what — will the U.S. or Europe take decisive action to neutralize the Iranian nuclear threat, will Israel, or will Iran be allowed to build The Bomb unimpeded? There seems little evidence the U.S. will attack Iran in 2014, given how deeply invested the Obama administration is in this newly negotiated deal with Iran. Europe won’t act on its own. Does that mean Netanyahu will, or as the deal tied his hands for the foreseeable future? “Despite this progress, we assess that Iran would not be able to divert safeguarded material and produce enough WGU [weapons grade uranium] for a weapon before such activity would be discovered,” he wrote…. New polls find Americans prefer military strike to nuclear Iran, deeply skeptical of President’s approach towards Iran. 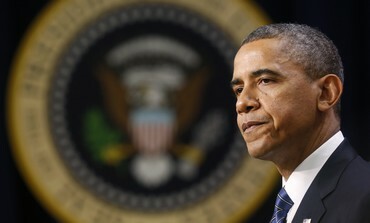 (Washington, D.C.) — Americans are losing confidence in President Obama’s policy towards Iran, and when push comes to shove prefer a military strike to allowing Tehran to acquire nuclear weapons. Only 42% of Americans approve of the President’s approach towards Iran, a drop since December, finds a new AP poll released Tuesday. In his State of the Union address on Tuesday night, President Obama insisted his Iran policy was working. He even vowed to veto a bill imposing new economic sanctions on Iran that is working its way through Congress. “The sanctions that we put in place helped make this opportunity possible. But let me be clear: if this Congress sends me a new sanctions bill now that threatens to derail these talks, I will veto it,” the President told a Joint Session of Congress. Yet another new poll released Tuesday finds that Americans strongly support sanctions on Iran, want more sanctions, are skeptical of the nuclear deal the President struck with Iran and don’t believe Iran will keep its end of the bargain. “The poll also indicated that for most Americans, preventing Iran from developing nuclear weapons is a ‘higher priority than preventing military action,’ said pollster Mark Mellman,” the Times noted. “The American public, he added, was “overwhelmingly negative in terms of how the administration handled Iran,” with 66% of likely voters polled giving the president a negative evaluation on his Iran policy. The poll surveyed 800 likely voters nationwide, and has a 3.5% margin of error. When asked which is more dangerous for the US – allowing Iran to develop nuclear weapons or to carry out targeted military strikes against Iran — 54% answered that allowing Iran to develop nuclear capacity was a greater danger. When asked again about which are most important goals for the US in dealing with Iran’s nuclear program, 68% selected “preventing Iran from developing nuclear weapons even if it means launching military strikes” in comparison with slightly over 30% who answered avoiding military strikes even if it allows Iran to develop a nuclear weapon. The interim agreement with Iran, considered by the administration to be a significant foreign policy milestone of Obama’s second term, was greeted by coolly by voters. When offered a description of the agreement, 55% said that they favored it, while 37% said that they opposed it. Among voters who said that they were already familiar with the agreement, opposition to the deal rose by about 10 points. Despite the moderated support for the agreement, 57% of those polled said that US should have forced Iran to abandon its entire nuclear program before releasing sanctions. Mellman also found that US voters were cynical as to the future of the agreement – only 35% thought it was at all likely that Iran would live up to the agreement. Americans, Mellman found, overwhelmingly support economic sanctions against Tehran in a bipartisan manner – 83% of Democrats and 89% of Republicans said that they supported the sanctions. Fewer than 20% of respondents said that they wanted the sanctions reduced, while 38% said they wanted to see them strengthened…. 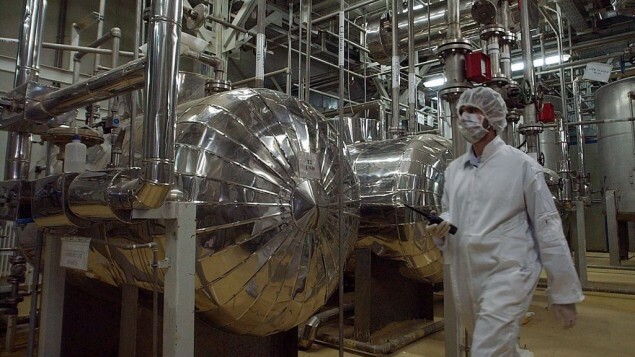 Sixty-two percent of those polled said that they supported the demand that Iran dismantle its nuclear infrastructure before receiving any sanctions relief when that position was juxtaposed with the agreement currently in place, in which sanctions are lifted as part of a gradual process. Last night, the President delivered his annual “State of the Union” address. Some of you loved it. Some of you were infuriated. Some of you ignored it. Many of you feel deeply pessimistic about the direction our country is heading and powerless to make things better. I share your concerns. However, the Scriptures tell us we are not powerless, and that we serve an Almighty God. As Christians, we know the Lord is sovereign — and this sovereign God commands us in the Scriptures to pray for our leaders. A new NBC News/Wall Street Journal poll reveals “deep pessimism” among the American people about the current status and the future of the country. How are you doing this week? Are you praying faithfully for President Obama and his national security and foreign policy team? Are you praying for leaders in Congress, and in our military? Or in frustration and despair are you sniping at them and complaining? Weighty decisions lie before our leaders. When it comes to 55 million abortions, and a $17 trillion debt, and so many Americans without jobs and health care and adequate retirement savings, and Iran getting close to nuclear weapons, and tensions in the Korean Peninsula, among so many other challenges, the fate of many lies in the balance. I am encouraged to see many people telling me they are praying seriously and faithfully. Yet in tracking my email and Facebook and Twitter traffic, I see many people sniping at our leaders, taking potshots at them, and making snarky, cynical, unkind, un-Christian statements. Let me encourage you. 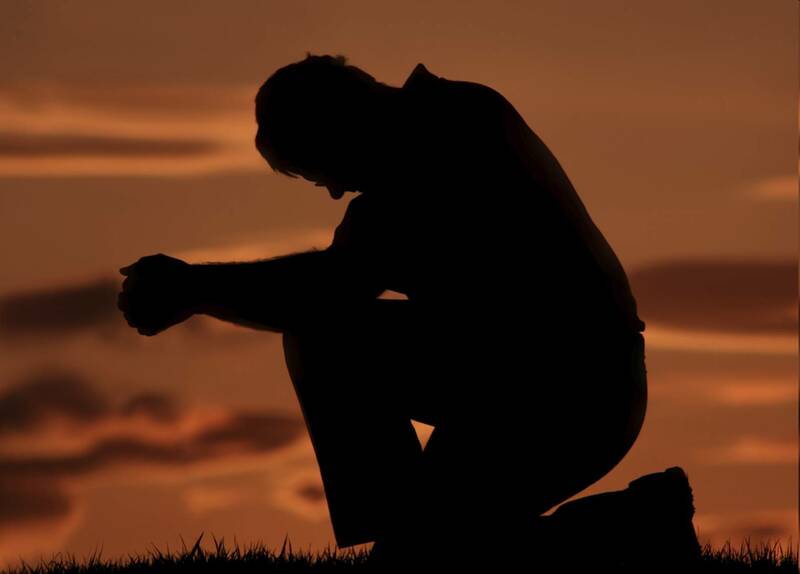 Start praying daily — indeed, several times a day — for your leaders, according to the Scriptures. Pray for them in the morning with your family. Pray for them in the evening at dinner, and before you go to bed. Pray for Him to turn this nation around, and get us back on the right track. Pray for the Lord to grant us in His mercy a Third Great Awakening. Pray for the Lord to end abortion in America and forgive us of this terrible sin. Ask the Lord to show you what else to pray for, and to pray according to His will, not your own. Our God is a prayer-hearing, and prayer-answering God, a wonder-working God. Let’s look to Him and trust Him more, especially in such dark times. State of the Union? Only 3% of Americans say it is “strong.” Here’s why. Will he say it again tonight? More importantly, is it true? We are giving our children and grandchildren more than $17 trillion in federal debt, and it just keeps climbing and climbing with no end in sight and no plan to pay it down. We have aborted some 55 million babies since 1973, and many Americans seem to believe there will be no consequences. We are deeply worried about widespread drug and alcohol abuse, a wave of violent crime and mass shootings, the loss of moral values among our children, and a serious decline in confidence in major institutions, including the presidency, Congress, and the Church. Is it any surprise, then, that a new NBC News/Wall Street Journal poll reveals “deep pessimism” among the American people about the current status and the future of the country? Only 31 percent say the country is better off. “A deep pessimism continues to fuel the public’s mood,” notes Mark Murray of NBC News who wrote the story. The central question we need to be asking as a nation is this: Is America headed towards implosion, or a Third Great Awakening? Yes, we need strong, principled leaders with deep convictions who will return us to the Biblical principles that our Founders wove into the Constitution. This election season will give us the opportunity to choose new Congressional leaders and many Governors and state legislators, as well. But even in the best case scenario, even if we elect the right people who are serious about making major reforms in Washington and have a track record of results, they will not be able to save this country alone. We need so much more — we need the Lord to rescue us, to have mercy on us, before it’s too late. We need a series of spiritual revivals to break out in every region of the country to wake up a slumbering Church and reinvigorate pastors and lay people to preach the Gospel, make disciples, plant new churches, and care for the poor and needy with great boldness, courage and compassion. We saw God do this in America in the early 1700s with the first Great Awakening. We actually saw God do this again in the early 1800s with the Second Great Awakening. Now is the time to plead with the Lord for a Third Great Awakening. >> To learn more about Implosion: Can America Recover From Its Economic & Spiritual Challenges In Time?, please click here. Spielberg: We must act on what was learned from the Holocaust. 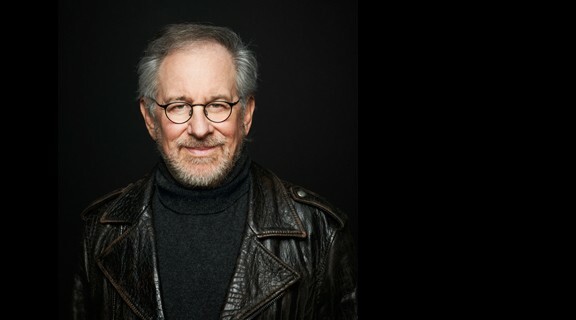 “Oscar-winning film director, writer and producer Steven Spielberg stressed on Monday the importance of gathering testimony to horrors such as the Holocaust in order to create awareness and preventative measures for the future,” reports the Jerusalem Post. “The director of the epic Holocaust-era film Schindler’s List said the memory of the Holocaust remained with us today and the victims of past genocide had now become ‘teachers to victims of recent genocide,'” noted the Post. “It took me years of directing sharks, aliens, and dinosaurs before I felt ready to tackle the Holocaust,” he admitted. Spielberg said history and the memory of the Holocaust must be engaged with fully to progress justice. This year will mark the 20th anniversary of the USC Shoah Foundation Institute, which was founded by Spielberg following the filming of Schindler’s List. The USC Shoah Foundation Institute is a long-standing partner of the Holocaust and the United Nations Outreach Program. January 27th was International Holocaust Remembrance Day. Here are resources that might be helpful for you and your family. Here is a short video from Auschwitz we produced for Holocaust Remembrance Day. >> New novel, “The Auschwitz Escape,” will release March 18th. Inspired by true story of the greatest escape of all-time — learn more, or pre-order here. 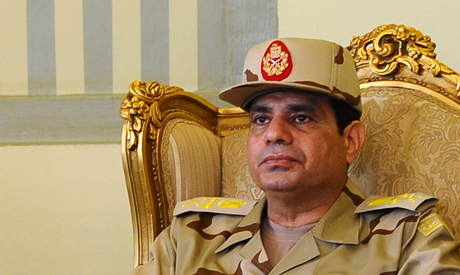 Who to watch in 2014 — #4: Egyptian army chief al-Sisi. He’s set to announce presidential bid in 72 hours. 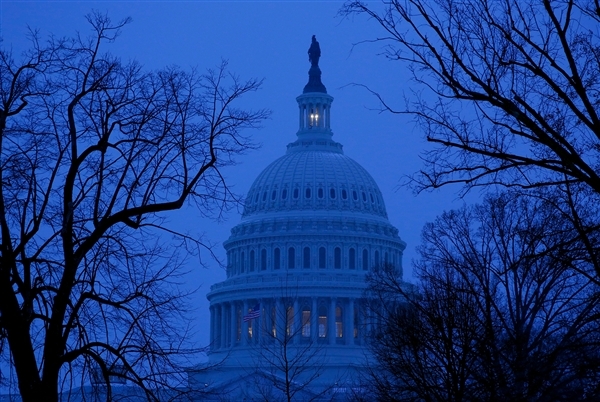 (Washington, D.C.) — This is the fourth in a series of columns on key leaders in the epicenter we should be keeping an eye on in 2014. 1) The first leader on my list was Jordan’s King Abdullah II — a fascinating Arab Reformer, the son of a bold Reformer, actively trying to lead his small, resource-poor, but vitally important nation towards progress and freedom, tolerance and modernity in a very tough neighborhood. The Big Questions: Will he play a key role in the Israeli-Palestinian peace process in 2014? Will he also continue to protect himself and his nation from the Radical forces that want his head? 2) The second leader was Syrian President Bashar al-Assad — a cruel dictator, the son of a cruel dictator, who is massacring his people as he presides over the implosion of a country engulfed in civil war. The Big Questions: Will he survive through 2014? Or are we seeing the end of his regime and the Syrian geopolitical state as we have known it? 3) The third leader was Ayman al-Zawahiri — a fanatical, Radical leader of al Qaeda who is Hell-bent on eradicating Jews, Christians and other ”infidels” in the epicenter and establishing an Islamic state throughout the Middle East, no matter what the cost in blood and treasure. 4) The fourth leader on my list is Abdel Fattah al-Sisi — he is Egypt’s military chief who is reportedly now set to run for the president of Egypt in the April national elections. It’s still not clear to me what al-Sisi’s long-term goals and motives are. It remains to be seen whether he will prove to be a true blessing for the people of Egypt over the long haul, a friendly and useful partner of the U.S. and the Western alliance, a peaceful neighbor to Israel, and a counterweight to an aggressive and hostile rising Iranian regime. Only time will tell. But let’s be clear: though it was not pretty (indeed, it has at times been quite bloody), al-Sisi’s actions saved Egypt from being suffocated by the Muslim Brotherhood, and inasmuch as he has declared war on Radical Muslim forces in the Sinai, he has — so far, at least — been a force for security and stability in the Egypt-Israel relationship. President Obama strongly condemned al-Sisi and his military forces when they liberated Egypt from the cruel grip of the Muslim Brotherhood in 2013. The administration also severely cut military aid to Egypt, which totals $1.3 billion annually. I believe the President was wrong. Yes, I, too, am not generally comfortable when a military steps in to overturn a democratic election. Yes, I, too, want to see a healthy, fair, functioning Jeffersonian democracy in Egypt, along with a vibrant, growing free market economy that is creating millions of jobs and growing the wages of average Egyptians. Like many Christians, I want to see Egyptian believers protected from persecution, and to see the Church growing and strong. But the Muslim Brotherhood’s power grab was not going to achieve any of these things. Egyptians knew the Brotherhood was hijacking their country. That’s why in 2013 22 million of Egyptians signed petitions demanding Morsi and his cronies leave at once. At this stage, the U.S. should continue to work closely with al-Sisi and the Egyptian military. Several vital U.S. national interests are at stake, and returning power to the Brotherhood is not one of them. The U.S. should support the military because even with its obvious flaws, it is more likely to support the palpable U.S. interests at stake. Three are basic. First, it is in the U.S. interest to have an Egyptian government committed to upholding the Camp David Accords with Israel, the foundation of U.S. Middle East policy since 1979. The Muslim Brotherhood assassinated Anwar Sadat in 1981 for negotiating Camp David, and it has never accepted it. Mr. Morsi foreshadowed abrogating or gutting Camp David as soon as practicable during his presidential campaign. With Iran nearing its long-sought nuclear capability, America and Israel would be worse off than before 1979. The U.S. is doing little to stop Iran, but we can still save Camp David. Backing Egypt’s military is the best bet. Second, and closely related: If the Sinai Peninsula slips from Cairo’s control, terrorists like Hamas (a Brotherhood subsidiary) and al Qaeda will use the area as a haven and a highway for smuggling arms to Gaza for use against Israel and to both sides in the Syrian civil war. Egypt’s army is far more likely to prevent this nightmare scenario than the Brotherhood. Third, for purely economic reasons, the Suez Canal must remain open. Annually, some 14% of global shipping and 30% of oil supplies pass through the canal. The Brotherhood is far more susceptible to suicidal impulses if it means harming the West. Egypt’s military does not prize martyrdom. For these reasons and more, the U.S. should continue providing military assistance, which hopefully still provides some measure of continuing leverage. Three decades of affording Egypt’s office corps with military training has created powerful connections that cutting off aid would irreparably damage. America’s $1.3 billion in annual military aid is minimal compared to what the Saudis could provide in the U.S.’s absence, but its political symbolism remains important. Moreover, the U.S. should worry about an opportunistic Vladimir Putin stepping in to fill its shoes, eager to reverse Moscow’s historic setback when Sadat expelled the Soviets from Egypt. As 2014 begins, then, al-Sisi is a man to keep an eye on. Judicial sources from the High Elections Commission said that Egyptian presidential elections are likely to be held in mid to late April. Regarding the possibility that army chief Field Marshal Abdel Fattah al-Sisi will run for president, he should resign before the High Elections Commission calls on voters to go to the polls, the sources said according to the Egyptian newspaper Al-Masri Al-Youm on Sunday. Egypt’s military council has given the army chief, Field Marshal Abdel Fattah al-Sisi, a green light to run for president, a security source told Reuters. “The top army officials all okayed Sisi running for the presidency,” said the source. Sisi is expected to announce his candidacy within days. Sisi deposed Islamist President Mohamed Mursi in July, triggering political upheaval and street violence in the Arab world’s most populous nation. Since then he has become hugely popular among Egyptians, who see him as a decisive figure who can stabilize the country which has lurched from one crisis to another since a popular uprising toppled autocrat Hosni Mubarak in 2011. Hours before the top generals approved Sisi contesting the election, the presidency announced he had been promoted to field marshal from general, in what security officials said was a sign he is about to declare his candidacy for the presidency. “The decision was expected and it is the first step before the resignation of the general and his candidacy announcement which is now expected very soon,” said a security official. On Sunday, Interim President Adly Mansour issued a decree, stating that presidential elections would be held before parliamentary ones, chaining the political roadmap set out by the interim government. Sisi is set to announce his candidacy in the next 72 hours, likely on Wednesday, the Saudi newspaper Okaz reported. Netanyahu: World is not doing enough to prevent a new Holocaust. “Prime Minister Benjamin Netanyahu on Monday berated the international community for showing indifference to the threat posed by Iran, comparing Tehran to the Nazi regime and implying that the world was not fulfilling its obligation to prevent a second Jewish holocaust,” reported the Times of Israel.